302 pages | 28 B/W Illus. This book provides an introduction to the state of sustainability education in Asia. It covers national policies, institutional policies and practices within Asian universities, sustainability considerations for teacher training at schools of education, and pedagogical practices for sustainability in higher education. 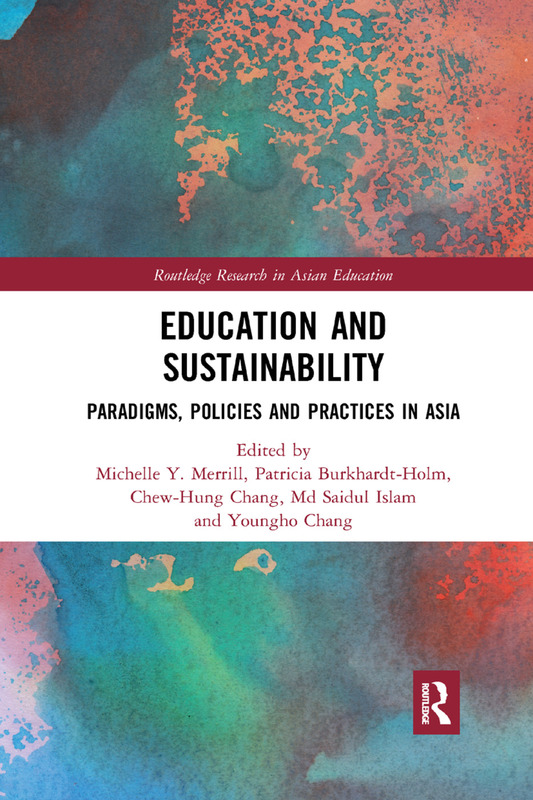 With contributors from universities and NGOs in Indonesia, Singapore, Malaysia, Thailand, the Philippines, Cambodia, India, China and South Korea, this volume brings together the best papers from a series of successful international conferences on post-secondary education for sustainability in Asia. Michelle Y. Merrill is an independent researcher and consultant, and a member of the Advisory Board of the National Ecology and Environment Foundation (India, www.neef.in). Patricia Burkhardt-Holm is Professor in the Faculty of Science, associated with the Department of Environmental Sciences, and heads the interdisciplinary research group Man-Society-Environment at the University of Basel, Switzerland. Chew-Hung Chang is Associate Dean, Office of Graduate Studies and Professional Learning; and Associate Professor, Humanities and Social Studies Education Academic Group, National Institute of Education, Nanyang Technological University, Singapore. Md Saidul Islam is Associate Professor of Sociology and Coordinator of the Environment and Sustainability Research Cluster, School of Humanities and Social Sciences, Nanyang Technological University, Singapore. Youngho Chang is Assistant Professor of Economics, Coordinator of the Environment and Sustainability Research Cluster, School of Humanities and Social Sciences, Nanyang Technological University, Singapore.